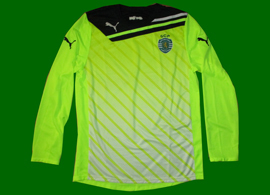 In its last year of contract as suplier of the Sporting Clube de Portugal kit (it was then extended), Puma made a new Sporting jersey, simply stated, classic. The last such shirt had been made by Reebok in its last year of contract, 2005/06, to celebrate the Centennial year of the Club. 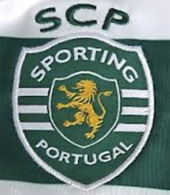 In particular, the Club's initials, SCP, are once again on top of the Sporting crest, as determined by the Statutes of Sporting Clube de Portugal. 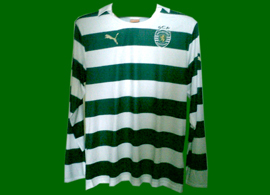 Furthermore, this jersey has true hoops, uninterrupted all around: for the first time since the 2004/2005 Sporting Lisbon kit, the back does not have a white or green hole (except in the match worn kits used by the Sporting Lisbon football players in the Europe Cup), neither any additional decorative element to disturb the simplicity of this new Sporting Lisbon 2011 2012 shirt. The Stromp jersey is exactly equal to last year's. Only the match worn shirts can be distinguished, for instance by the type of letter (font) used for the player name and number. The away shirt is, once again, completely white, with fluorescent green details. For the first time, Sporting Lisbon started to sell player issue jerseys, both the home shirt and the away kit, in very limited numbers. 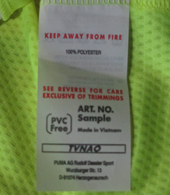 There are many fake counterfeit shirts being sold all over the world. 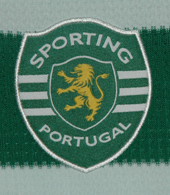 Anyone interested in the real deal should contact the official Club store (this link is not sponsored: verdebranco.net does not have and never will have any payed ads). 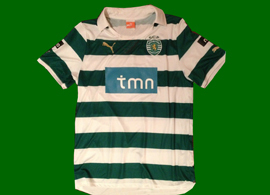 Click here to see all the Sporting Lisbon jerseys from 2010 2011. 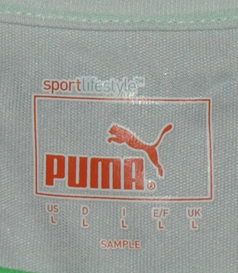 Puma sample, bought April 2011. 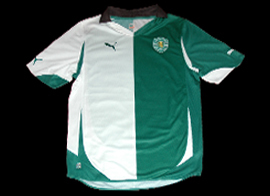 The official shirts were put on sale the 2nd July 2011. 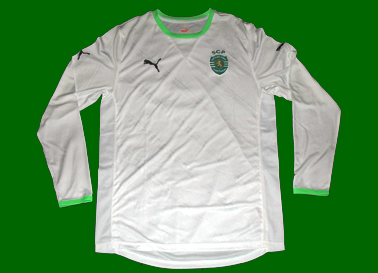 Large child jersey (14 y size) bought in the Sporting official shop. 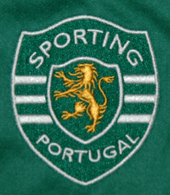 The Sporting crest is equal to that on the adult size shirts, while in the small child sizes it is a printed patch, not sewn on. 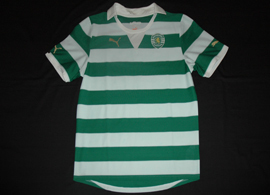 New 2011 2012 Sporting Lisbon jersey, signed by Ricky van Wolfswinkel. 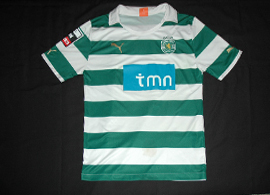 New kit Sporting Lisbon 2011 2012, signed by Fito Rinaudo. 2011/2012. Goal keeper football shirt player issue, Marcelo Boeck. 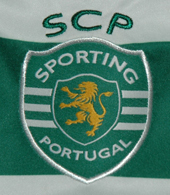 Click here to see the new Sporting Lisbon football shirt from 2012 2013.